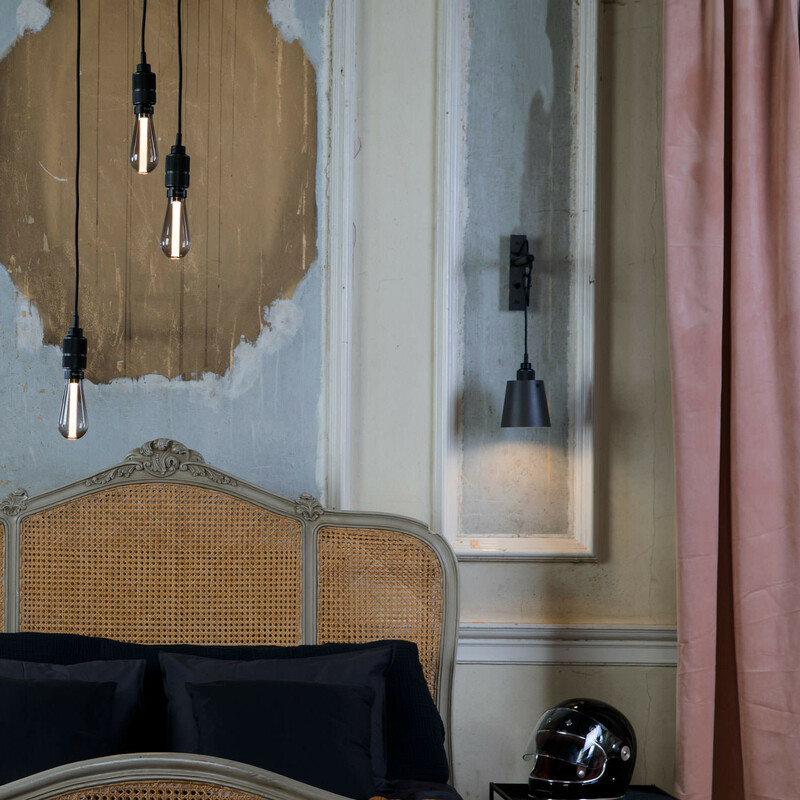 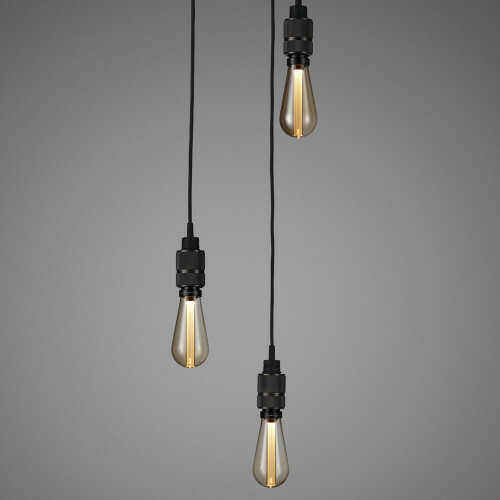 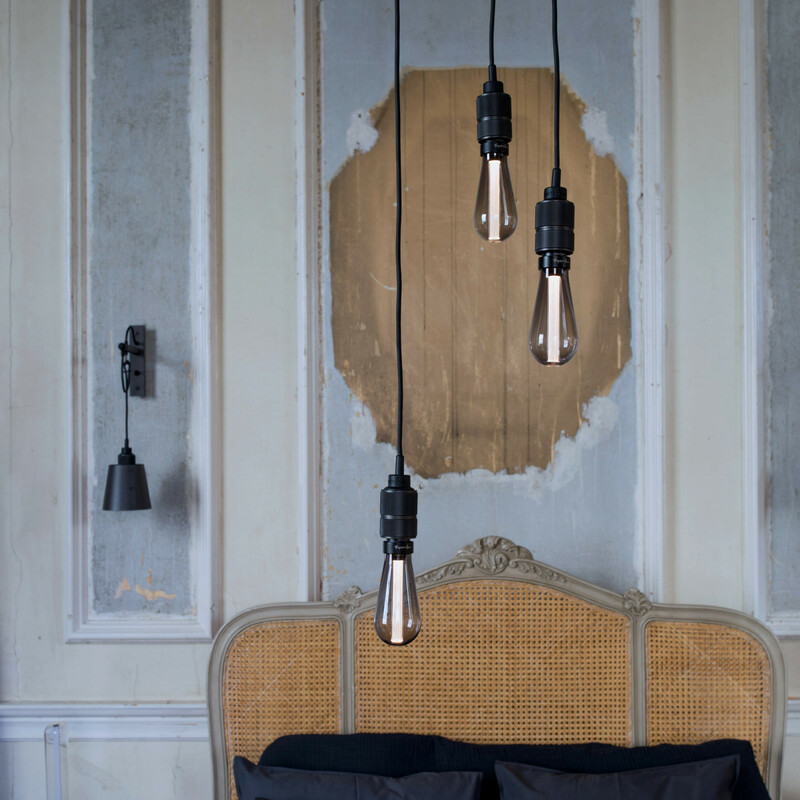 A chandelier made up of three SMOKED BRONZE light pendants, each with their own customising hook, and matte rubber detailing. 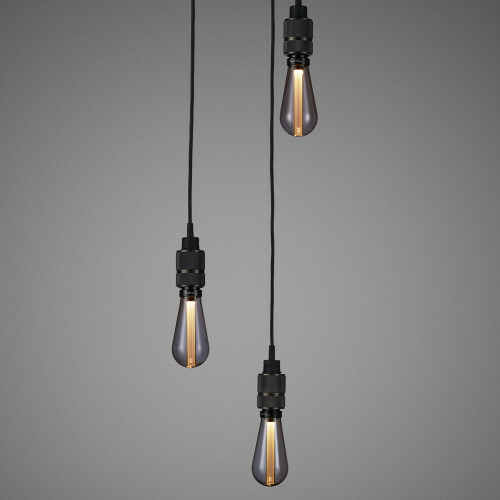 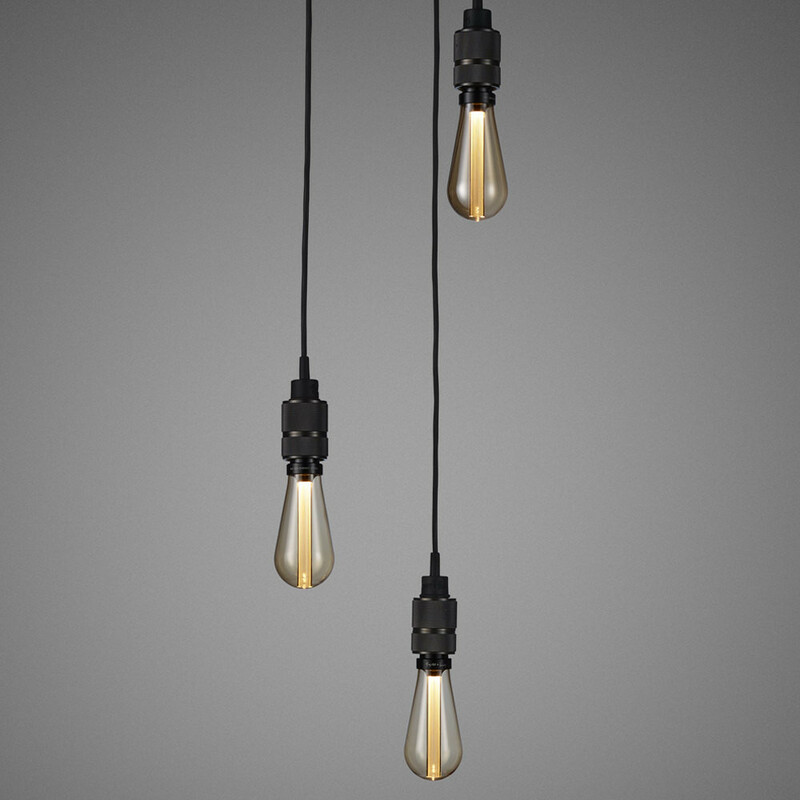 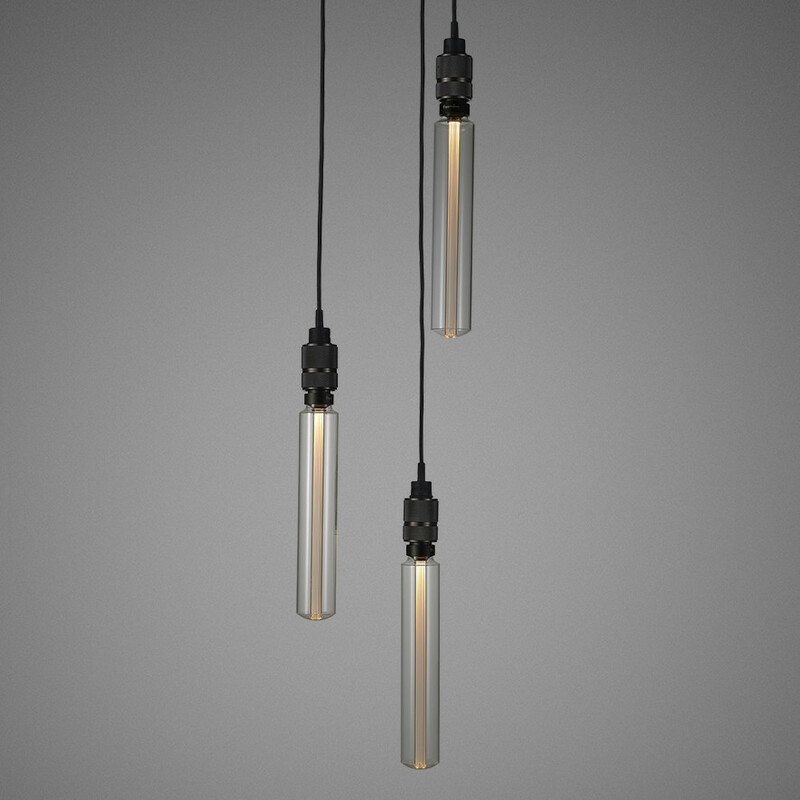 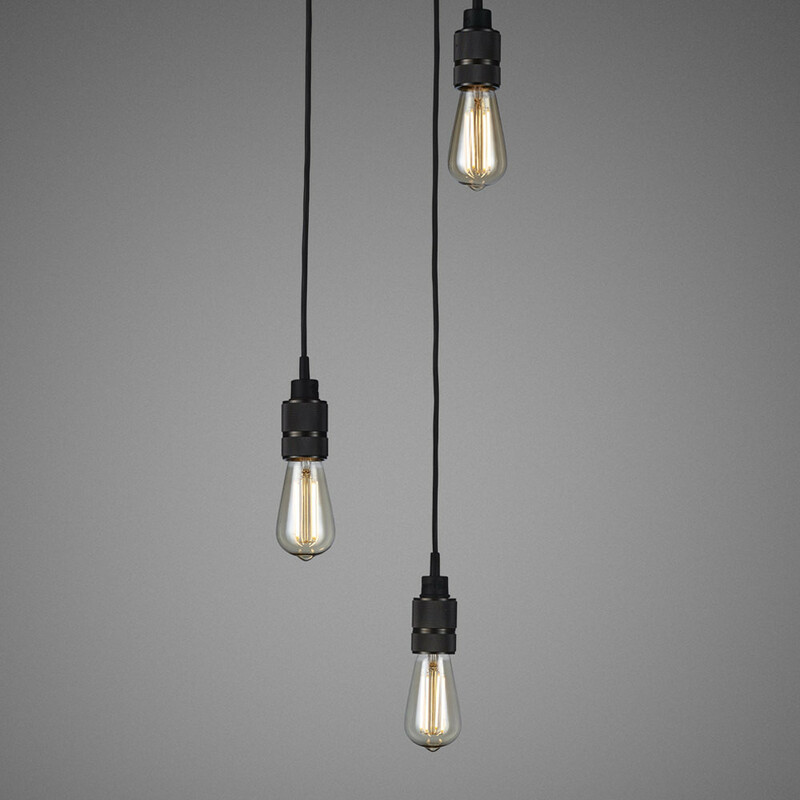 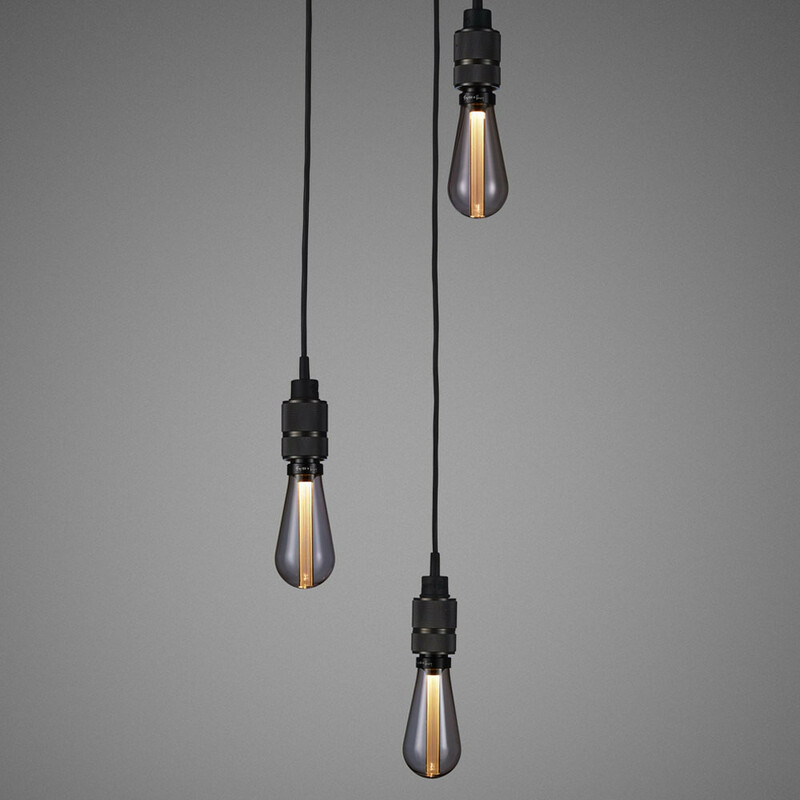 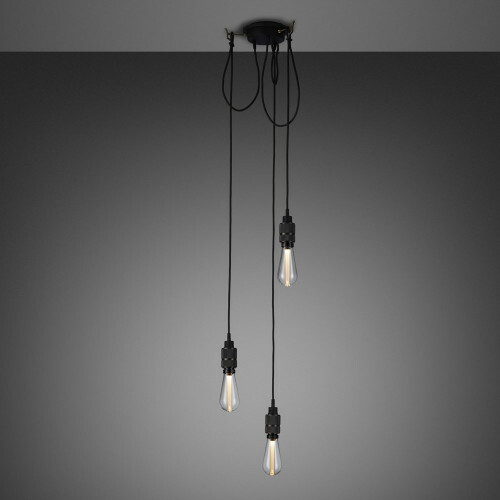 Available with a choice of light bulbs, when selected you receive 3 x light bulbs for the pendants. We recommend using a dimmer switch to get the best out of this light.